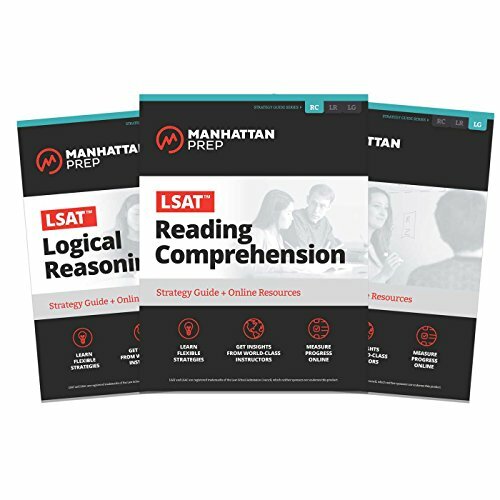 A fresh, innovative, and streamlined approach to the LSAT, Manhattan Prep’s LSAT Strategy Guide Set features techniques geared toward students aiming for top scores—now with more practice problems and new online resources! LSAT Strategy Guide Set contains true course materials. Created and field-tested by Manhattan Prep’s expert instructors, it is a must-have resource for any student preparing to take the exam. Included in this all-in-one set are books devoted to the test’s three sections: Logical Reasoning, Reading Comprehension, and Logic Games. Beginning with how to recognize each and every game type, LSAT Logic Games takes you through the entire solving process. You will learn strategies for making inferences, techniques for accurate diagramming, and tools for improving your time management. Each chapter encourages mastery with timed drill sets that use real LSAT logic game questions and provide in-depth explanations, including hand-drawn diagrams and notes from Manhattan Prep’s expert instructors. LSAT Logical Reasoning encourages a streamlined method to engage and improve your natural critical thinking skills. Beginning with an effective approach to reading arguments and identifying answers, this book trains you to see through the clutter and recognize the core of an argument. You’ll learn the tools needed to pick apart the answer choices, offering in-depth explanations for every answer—both correct and incorrect—leading to a complex understanding of this subtle section. LSAT Reading Comprehension teaches you how to recognize the core argument and use it as a framework to organize the entire passage, improving your speed and clarity. To further improve your reading, it walks you through the annotation process, discussing where and how to take notes in order to maximize your comprehension efficiently. Additional online resources are available through the Manhattan Prep website and include class recordings, online learning labs, and a downloadable study guide. The online Tracker app also integrates with the study set to let you track your progress as you work through the problem sets.